A little off the beat of Carmel’s steep sidewalks, Rio Grill is worth the drive. Clearly a local hang out, they serve pub food dressed up with just enough pizzazz. 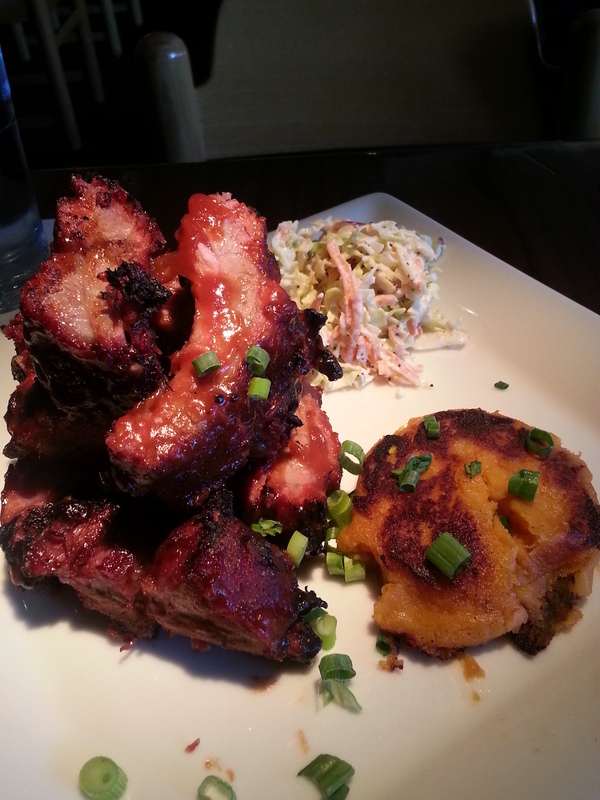 These baby back ribs tempt you with a Cayenne potato yam cake. Yet, the best thing on this plate was the coleslaw because it was laced with horseradish. This entry was posted on Thursday, May 22nd, 2014 at 9:49 PM	and posted in Carmel, Food. You can follow any responses to this entry through the RSS 2.0 feed.